Personalized health: Risk or opportunity? Health is inherently personal. And yet, traditional employer health benefits have taken the one-size-fits-all approach and are largely broad-based. While this worked well in the past, today’s disruptive technology advancements have reshaped our outlook, making personalization an expectation. Parallel advances in medical science have also resulted in individualized treatments that are safer and more effective. New digital solutions are entering into the health space, which will increasingly define how employees access health care and take accountability for their own well-being. These shifts have led to the inevitable demand for customization of employee health benefits. Although this presents challenges to plan sponsors, it also brings tremendous opportunities to revamp health benefit strategies. These include leveraging data, offering targeted interventions, and securing innovative partnerships that bring better health outcomes for employees and their dependants. There are a number of factors driving personalization in the world of health benefits. Shifting demographics: Today, the workforce comprises five generations, where generation Y or the “me-first” generation is dominating and shaping corporate culture. Layered onto this is an increasingly diverse cultural talent pool made up of groups with different needs and expectations related to the employment deal — especially when it comes to health benefits. Gig economy: An increasing number of people are working independently, and more businesses are relying on these external resources or “supertemps.” This change from traditional, full-time and permanent employment deals suggests a growing need for individualized benefit solutions in the market. Technological advances: Everyone has seen how Netflix used technology advancements as an opportunity and, behold, the decline of cable television. The popularity of wearables is a great example of this, and the data they generate creates opportunities for personalization in health benefits. Scientific innovations: Advancements in genetic testing and pharmacogenetics is one example of scientific innovations, while prescription drugs are increasingly being brought to market to treat highly selective diseases. This gives plan sponsors the ability to deliver truly personalized health benefits for an increasing number of disease states. As we enter the “personalization of health-care” period — essentially, the age of the individual — how can an employer position its plans to deliver relevant value to employees? The key areas of data, wellness and innovation present opportunities for employers to start reshaping their health benefits strategy and moving towards offering individualized employee benefits solutions. This will attract the strongest talent, meet the expectations of the workforce, and achieve better health and business outcomes — eventually reducing the cost and risk of the plans. Harness the power of data: The need to analyze data will become more important for plan sponsors as they face increasingly expensive decisions around investing in the workforce. Although employers have access to their data, many don’t know what to look for or how to use it to identify key drivers informing benefits strategy. The data available will, of course, depend on the benefits program that captures a variety of data sets. But this isn’t the only source for useful data. Employers can also look at workforce demographics and how they meet various eligibility criteria. Health and disability data, absence and sick leave data, employee engagement surveys and wellness programs also help provide rich and meaningful information. This data provides a more complete story of what’s going on at an organization and can even provide a view into the future. Looking at what’s driving up costs can help reposition an employee benefits program. It can also be used in a predictive manner to isolate potential risk areas and where future spend might go. In thinking about predictive modelling, it’s essentially using data to strategize benefits and create a completely personalized benefits package for each plan member based on factors such as demographic, lifestyle, how they use the program and personal risk factors. Focus on employee wellness: Mental health issues continue to dominate disability costs and health risks. Workplace health and wellness is quickly becoming a necessity for Canadian businesses to mitigate costs associated with health, payroll, talent management and loss of productivity. Increasingly, to be most effective, the solution needs to be personalized to the organization and ultimately the individual. Using data analytics will help identify areas in which to invest. 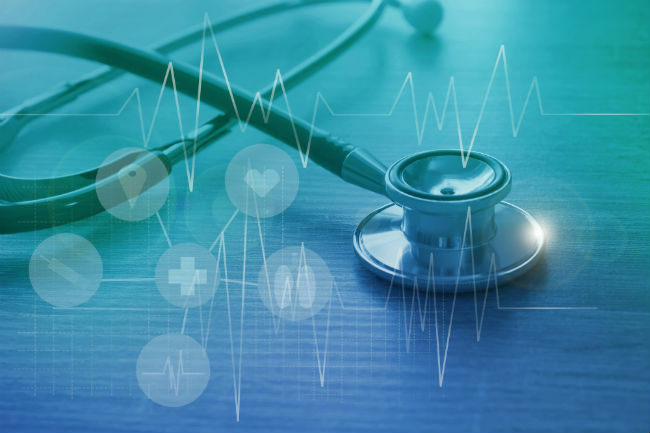 They can manage costs by looking at a personalized and more effective total health management strategy that can have a measurable impact on employees, overall business, and investments. There’s an opportunity for targeted interventions that can modify behaviours and lead to better health outcomes — and better cost management. Partner for innovation: The vendor marketplace presents an interesting, albeit complex, arena. innovative and unique experiences tailored to the needs of individual employees. Navigating this market can be a challenge, but with the right approach, it can deliver rewards. This is apparent in health access, with solutions providing mobile access to personalized medical care, or sleep deprivation solutions offering online diagnosis and treatment. Such solutions can be expensive and employers will inevitably need to increase their spend to onboard and roll these out to employees. Cost, at the moment, seems to limit Canadian plan sponsors from embracing new vendor solutions, but the workforce of tomorrow will be upping the demand. Plan sponsors now have a chance to turn the demand for personalization into promising opportunities. •move forward with a strong health benefits partner. As traditional health plans increasingly become irrelevant, it’s important to embrace change and facilitate a more personalized approach to employee health benefits. This will bring associated benefits to the business, the brand and the bottom line — today and into the future. Brian Lindenberg is a senior partner at Mercer Canada in Calgary. For more information, visit www.mercer.ca.